Once upon a time, in a club far, far away, there was a valiant group of knights known as the Knights of Milan. Their benevolent king, King Berlusconi, along with his trusty advisor, Lord Galliani, had taken great pains to assemble this group of knights in order to defeat all of the other clubs in the land. And, this they had done in the Year of our Lord 2011. But now, it was the Year of our Lord 2012, and the evil Knights of Juventus had recently neutralized just enough more dragons to claim victory over the Knights of Milan. And woefully, in the same term, for a number of the Knights of Milan, it was time for them to sail into the West. Broken hearted, King Berlusconi’s subjects begged and pleaded for him to replace these knights with younger, valiant knights of great strength and abilities. The loyal Sir Thiago wants to stay, thus he shall stay. But sadly, instead, rumors began to spread throughout the land that two of the most valuable knights would be taken to distant lands and forced to play for other clubs in other kingdoms. 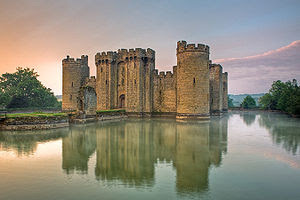 Sir Thiago Silva of Brazil vowed to be true to the kingdom of AC Milan, but knew that if the castle was ransacked, he could be carried away, not unlike a fair maiden or a valuable treasure. Sir Zlatan Ibrahimovic of Sweden was less convincing in his loyalties, he was more mercenary than knight, and this struck fear in the hearts of the subjects of King Berlusconi. It was a dark time in the land. However, there was something these other clubs from other kingdoms did not anticipate in their efforts to lay siege to the Knights of Milan… Lady Blogger and the Loyal Subjects of King Berlusconi Who Bleed Red and Black. Lady Blogger and the Loyal Subjects of King Berlusconi Who Bleed Red and Black refused to let the Rumormongers gain power over their beloved knights. With wavering faith in the beginning, they slowly began to challenge every rumor at every turn, battling in the realms of Social Media with friend and foe alike until they collectively gained the strength and belief to banish all Rumormongers from the kingdom of AC Milan. When offered the aging Sir Rigoni of Italy, the Loyal Subjects who Bleed Red and Black cried out for Sir Sahin of Germany or for Sir Witsel of Belgium. Still others called out for Sir Giovinco of the Shire. It became clear to Lord Galliani that King Berlusconi had been under the influence of a certain Conte Wormtongue, and frankly, Lord Galliani was bored with Conte Wormtongue. 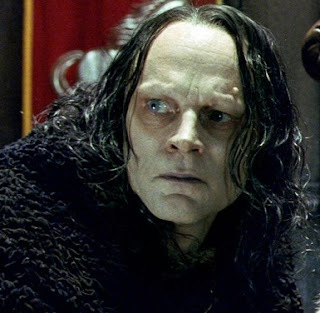 With this new discovery, Wormtongue was banished from the kingdom of AC Milan. It was as if the dark clouds had lifted from the King's eyes. Seeing the undying support of all of his Loyal Subjects within and even outside of the kingdom, King Berlusconi surveyed his riches and surveyed the knights at his disposal. Along with Lord Galliani, they sacrificed a few of the knights who, while loyal, were perhaps better suited for other kingdoms and clubs. First up, Sir Seedorf, who refused to go into the West, was sent to a faraway land where all of the knights were slow of pace and he could feel like a champion once again. Sir Antonini of Italy was sent to the Kingdom of Sassuolo in Serie B. It was a perfect match, and everyone was happy. The court jester, a humble Serf called Bonera, was sacrificed to a local dragon, who was so surprised by the gesture, he actually parted with some of his treasure in return. Sir Robinho of the land of Whiffsalot was also sacrificed for the good of the kingdom and sent back to his homeland to dazzle all with his sky jousting. From here, while many kingdoms were under the Spell of Polkraine, the very wily and cunning Lord Galliani set out to make an honest man of himself with an actual purse filled with gold. He was able to convince only the best of knights to join the Kingdom of Milan. With the support of the entire kingdom and reinforcements on the way, the trusty Sir Thiago and even the mercenary Sir Ibra reaffirmed their commitment to the kingdom. Sir Pato of Brazil was also finally freed from the bewitching spells of the evil Princess Berlusconi, which also magically restored his health. Thus, he became a prolific attacker once again for the kingdom. 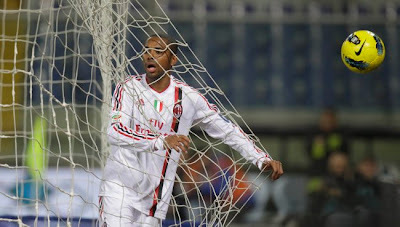 Thanks to the noble and worthy efforts of Lady Blogger and the other Loyal Subjects Who Bleed in Red and Black, the threat of Social Media and the Rumormongers was defeated and the reputation of the Kingdom of AC Milan restored. The Knights of Milan went on to claim their nineteenth victory over the other clubs and kingdoms in the land, to raise the Super Chalice of All the Land, and also to claim victory in the Champions of Europe competition in the Year of our Lord 2013. And they lived happily ever after.